Bonefish & Tarpon Trust, in partnership with Trout Unlimited, is pleased to announce the establishment of the Lefty Kreh Memorial Conservation Fund in memory of legendary angler and instructor Bernard “Lefty” Kreh. Kreh, one of the pre-eminent anglers of his day, was influential across freshwater and saltwater fly-fishing, beginning with paradigm-shifting casting techniques that revolutionized the sport. Through numerous books, articles, videos and public appearances, he became the most acclaimed fly-fishing instructor our sport has ever known, sharing his knowledge with countless anglers around the world. 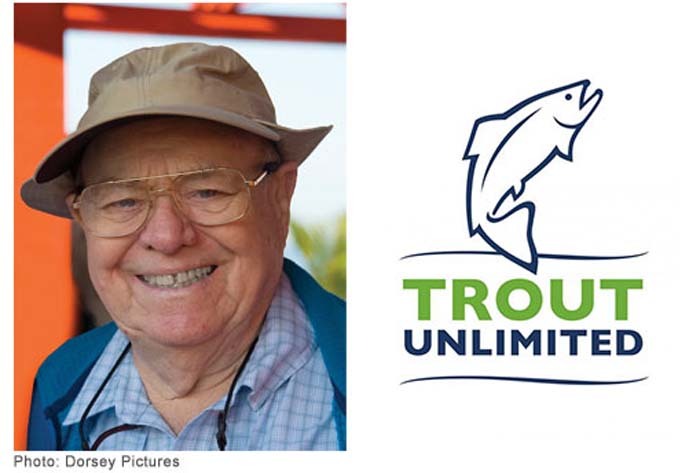 “We are honored to help carry on the legacy of Lefty Kreh—one of the greatest angler-conservationists the planet has ever known,” said Chris Wood, President and Chief Executive Officer of Trout Unlimited. The Lefty Kreh Memorial Conservation Fund will provide support to important conservation projects advanced by BTT and TU, including joint projects by the two organizations that reflect the fishing continuum in most anglers’ lives, from coldwater fisheries to the flats and back again. To donate, please visit BTT.